At Seal & Snow, Inc. we use our top of the line equipment and experienced staff to make sure your needs are met during the winter months. You cannot predict the amount of snow you are going to get on any given day, so having a team that is readily available to get to work any time of the day or night is very important to us. 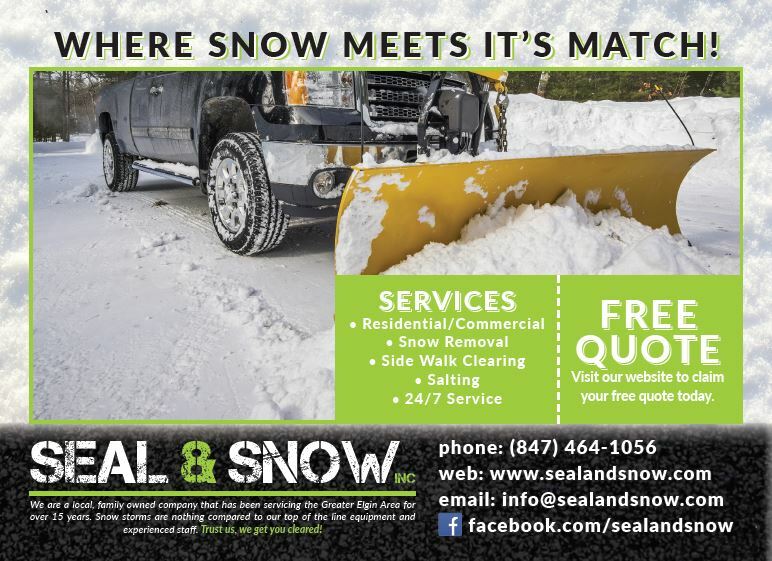 Snow can be such a chore to clear and often causes back pain and stress for most people, Seal & Snow, Inc. is here to help! Let us endure the pain and hassle by clearing your snow for you. Check out the Contact Us page to request more information about our services and request your free quote!